New book shelves!!! A space for everything. This was a fun project! There were 29 donors!!!!! This is Jefferson Elementary School in Massac County, Illinois. 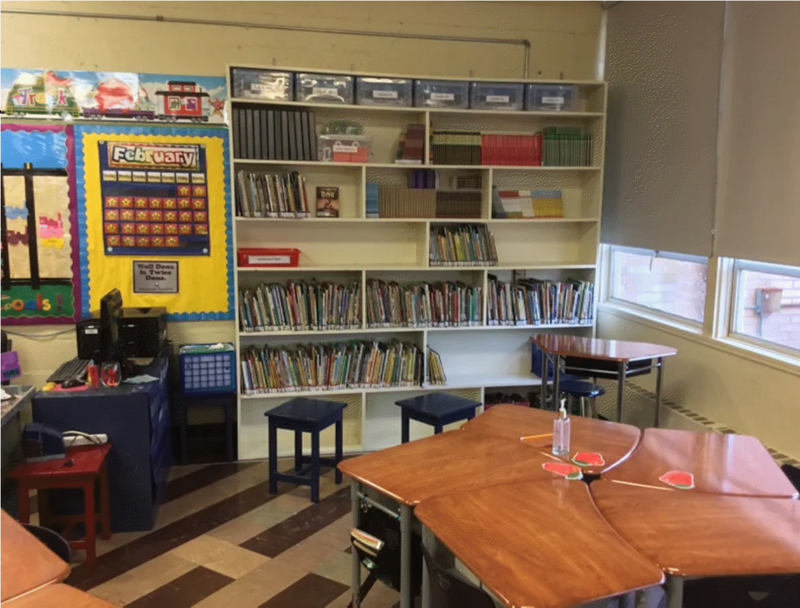 Help me give my students new shelves to hold all of our classroom books and STEM supplies! 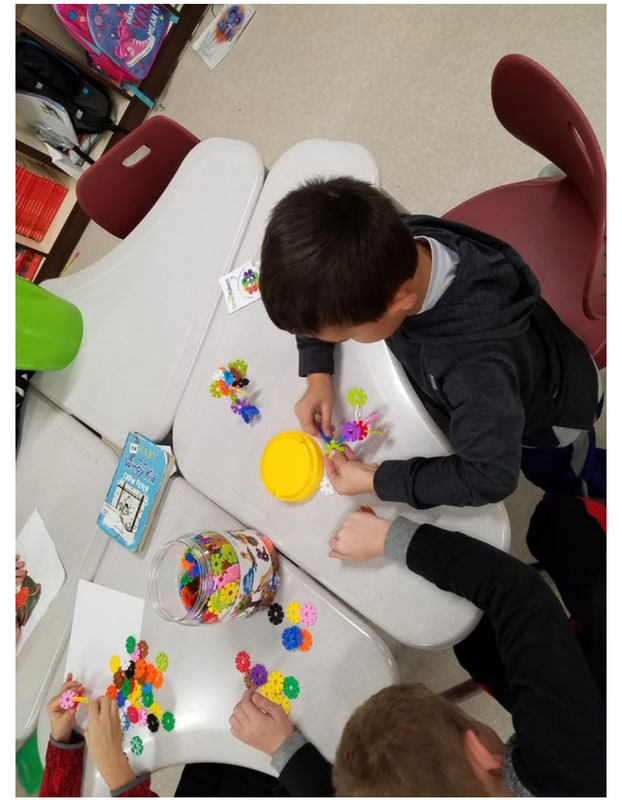 A day in my classroom is a day filled with learning, respect, and hard work. My school is in a rural area, and the students whom I teach come from a wide variety of backgrounds. Our class motto is, "In this room, we don't do easy. We make easy happen through hard work and learning!" I have high expectations for my students and do everything in my ability to help them achieve their goals! I enjoy planning creative lessons and projects as much as my students enjoy working on them! This project is for lumber and supplies which we'll need to build additional shelves in my classroom for storage. We currently have some low bookshelves that are filled to overflowing with books. That is a wonderful problem to have, but now we need more shelves! I have someone donating his time to build the shelves, but I will need quite a bit of lumber, screws, and paint for the project. The shelves will be 8 feet wide and 6 feet tall. My class and even the school as a whole is made up of many avid readers. I love finding new books for our classroom library, and I love seeing my students' faces when we get new books. These shelves will give me additional storage space for picture books and class sets of chapter books and will allow me to make sure that all of our books are able to be viewed and easily selected by my students. The shelves I am having built will also hold STEM kits on the upper shelves so that they can be stored year-round in our classroom. There were three donors for this project. I teach 3-5 year old special needs children housed in a public school in our community. They are included in a pre-k center with typical functioning children. My kiddos have a variety of special needs including: autism, physical limitations, speech and language delays, sensory differences, deafness, and cognitive delays. The main emphasis in our classroom is language and social skills. Almost daily we are able to celebrate accomplishments that may seem small to most, but are HUGE for our little ones with exceptionalities. Just today our little guy with down syndrome said his first two word sentence! "Ball in." It was a big deal! Another has begun to "go" in the potty. It's like a party each time he does. Even pointing to a picture to make a choice for snack is a giant step for some. Teaching these exceptional children has been the highlight of my teaching career. They are so excited to learn new things and be involved in new experiences. Children with sensory differences have difficulties with processing information from the five senses: vision, auditory, touch, olfaction, and taste, as well as from the sense of movement (vestibular system), and/or the positional sense (proprioception). Learning to deal with sensory issues is very frustrating for the very young children in my class. Items such as the weighted vest and weighted blanket can help a child feel "grounded" and enable them to calm themselves when upset. Other items such as the chewy toys provide sensory output for children who "mouth" items . Many children with autism are also very sensitive to noises, music, etc. The sound reducing ear phones will be so beneficial to them in and out of the classroom. These types of resources will assist my children in beginning to learn to regulate their sensory difficulties. Mrs. Thomasson. Jefferson Elementary School. Massac County, Illinois. There were 29 donors to this project!!! Great work, everyone. Mrs. Well's 10th-grade classroom at Calloway County High School (Murray, KY). Chromebooks. There were two donors to this project including all of you that subscribe to WeatherTalk. Thank you, subscribers! This is Mrs. Well's 10th-grade classroom at Calloway County High School (Murray, KY). Our school is in a town of less than 20,000 and all of our students get free lunch. Our district has a great technology center where my kids have learned valuable skills in construction, auto tech, welding, and more. My students are great kids that happen to have learning difficulties. My students need a Chromebook so that they can access educational software that will help them close gaps in their learning. There is a web-based computer program that my students can use that will create assignments tailored to their individual learning needs! It is just not possible to customize lessons this well without a computer program. I can make worksheets, but the students find the computer much more engaging! I have seen great gains with this program and would love for all my students to be able to use it on a daily basis. Individualizing education through technology makes a world of difference for my students.